Cru Bourgeois Supérieur situated in the Haut-Médoc. This wine has a nose of blackberry and ripe plums, creme de cassis, smoke, and a touch of licorice. Very nice, smooth wine. 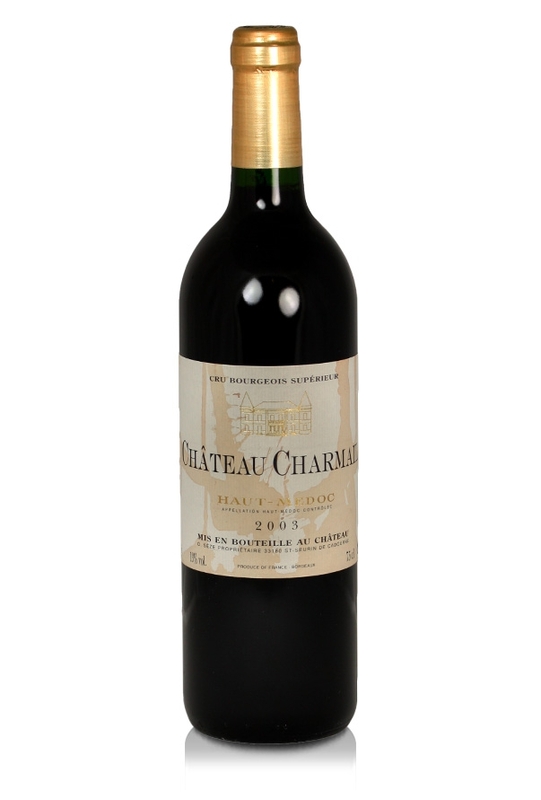 Château Charmail is a Cru Bourgeois Supérieur situated in the Haut-Médoc on the left bank of the Bordeaux wine producing region. A dense ruby/purple in colour with a nose of blackberry and ripe plums, creme de cassis, smoke, and with licorice-scented bouquet. It is a powerful, dense wine, though smoother than some other vintages from the same vineyard.